One ordinary man took one every day dream and made it become an extraordinary reality. After grinding it out in the trenches with golf’s younger, stronger, smarter talents all over this golfing planet, I can tell you one thing for sure-golf is a sport, and golfers need to think of themselves as athletes, now more than ever. Balance, flexibility, strength–that’s what I went to Body Balance to find, and that is why my intense, thorough, tailored fitness program with Mike Willett gave me. Over my year working with Mike Willett at Body Balance Naples I was about to gain 34 yards off the tee, shave fifteen strokes off my handicap, and drop an amazing 38 pounds. Designed to complement the work I was doing with my swing coach, my work at Body Balance identified my physical shortcomings, pinpointing my less flexible areas, and focusing on those areas for weeks and months, to where there was not a stance or position or move on the golf course that I was not able to make. My muscles not only grew stronger, but they grew quicker, through the kind of workout routines you can’t do at home or on one of those home-gym machines on TV. Mike Willett’s specialized, intensive training gave me a physical edge over players who had been struggling with their game for more time, with less impressive results.” -Tom Coyne. 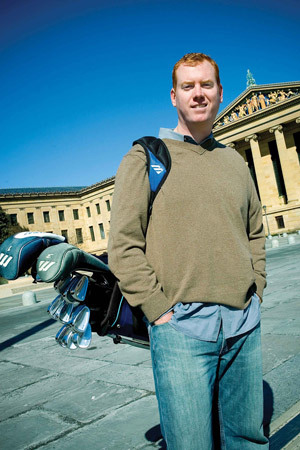 Tom Coyne’s, Paper Tiger, explains the journey of a man who dedicated his life to learn and perfect the game of golf. Along with the help of many golf experts, including Body Balance for Performance, you can explore in detail his day to day schedule and dedication to reaching his dream. Visit www.tomcoyne.com to learn more information.